You may not realize it, but your furniture can say a lot about your restaurant: what type of food you serve, your culture, your price levels, and your level of service. Likewise, having furniture that needs replaced can send the wrong message to your customers that can lead to a loss of business. The way your restaurant looks says a lot to customers about the kind of food and service they can expect from your business. For the good of your business, it is important to pay attention and know when it is necessary to replace restaurant furniture. When is it necessary? One scenario that we see a lot from customers is they originally purchased residential furniture to get through their opening, but now need something that will last. Commercial furniture is built to withstand a much higher level of abuse. It is best to replace any residential furniture in your restaurant as soon as possible. When you already have commercial furniture, there are a few obvious indicators that it needs replaced. If the vinyl on your booths, chairs, or bar stools is ripped, you absolutely need to reupholster or replace. Also, if your seating is clearly broken or bent it needs to be replaced. Any time the structural integrity of the furniture seems questionable, it is best to replace it. All of these conditions are safety hazards and make your restaurant look poorly maintained, which drives customers away. Wood furniture does tend to wear faster than other materials. When you begin to see signs of aging like nicks, or even cracks, it is time to start shopping for new furniture. When furniture has too much movement or wiggle in it, and tightening the screws just doesn’t help anymore, that is also a time to start looking to replace restaurant furniture. If your furniture looks dirty or dingy even after a thorough cleaning, you must consider replacement. Years of use and the occasional improper cleaning can lead to furniture losing its original look. While you might know that your establishment is clean, customers judge your business based upon what they can see. Grungy furniture is a turnoff to customers. Maybe you don’t see any of these obvious signs, but people around you start to complain. We often hear from our customers that their staff and patrons began to clue them in to the fact that new furniture was needed, whether from the look, the structure, or even the material type. Outdoor conditions paired with commercial use can be hard on lightweight metals and lead to them having a shorter lifespan. For example, aluminum outdoor furniture typically needs replaced more often than other types of materials because it is so lightweight. Aluminum furniture might need replaced every couple of years, whereas a more durable material, such as poly lumber, has a lifetime guarantee and most likely won’t need to be replaced for a long time. Outdoor furniture can be particularly susceptible to rust, especially in coastal areas where the air is salty. If you begin to see any rust, you should begin looking for new furniture. Other structural issues with your outdoor furniture, such as bending, and missing hardware, mean it is time to replace restaurant furniture. Your overall look, especially compared to surrounding restaurants, is also a consideration. 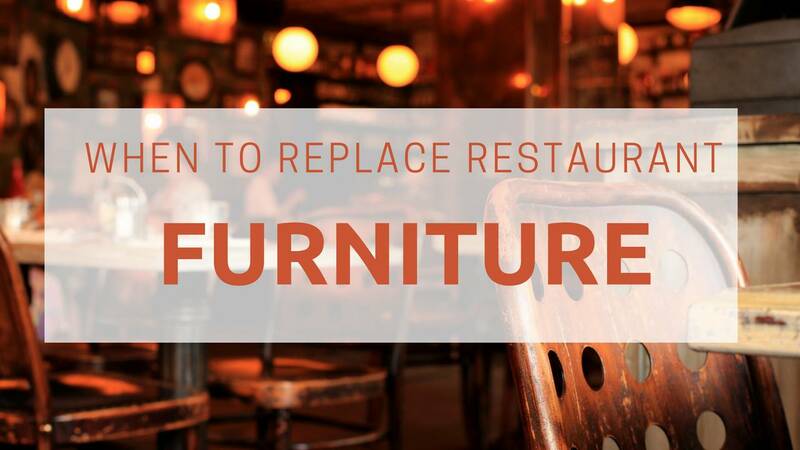 If you notice new establishments coming in and yours appears outdated or rundown next to it, new furniture might be a good way to give your restaurant or bar a facelift to stay competitive in the area. If you want to take a more proactive approach to replace restaurant furniture, consider the lifespan of the product. Is it made of strong, durable materials? Or perhaps something more lightweight? 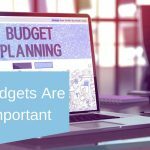 If you know you have something that is not going to last very long, start shopping around to price furniture for your budget. When the lifespan is up, you will be ready to make the purchase. 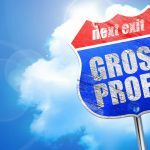 If you are experiencing these kinds of issues, the good news is there are now more options than ever for you to choose from in lots of different price points. Jenny Brooks serves as the communications director for TheRestaurantExpert.com and has worked with David Scott Peter since 2005. She is the owner of Roaring Lion Public Relations, an independent agency providing expert public relations consultation and support to businesses nationwide.